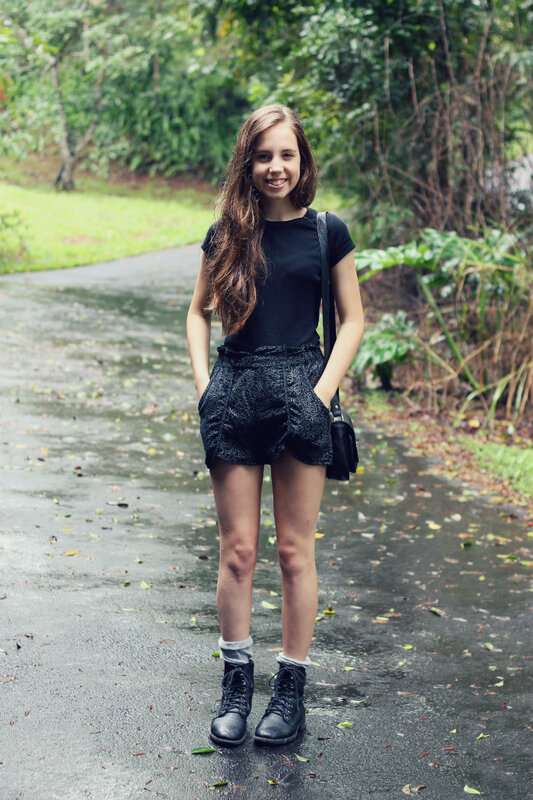 love the outfit and how you styled the boots! omg amazing outfit! love it! Sounds the same as me! Nearly finished all my assessments and projects, can't wait till easter, only about two-ish weeks, yay! Love your shorts and socks, they are so cool. Wish you good luck with those things coming! !